Down the line, you'll even be able to glamp on-site at the Sunshine Coast attraction. 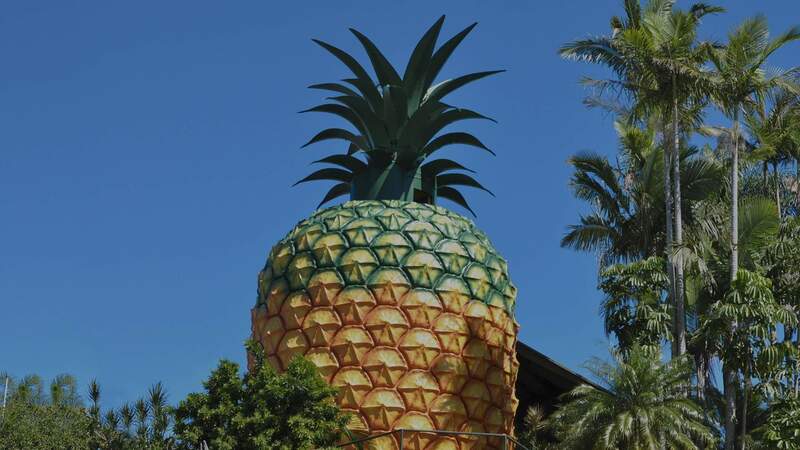 Due to the laws of nature, 16-metre-high fibreglass pineapples aren't capable of growing — but Queensland's favourite towering attraction is expanding anyway. As part of a $150 million redevelopment, the space around The Big Pineapple is about to look a whole lot different. As well as viewing the giant tropical fruit, you'll soon be able zoom down a zipline, cool off in a water park, sink a few beers at a craft brewery and even stay for the night. For those keen on climbing and soaring, TreeTop Challenge's new course will be a big drawcard. It'll feature 120 activities across eight acres, including a two-kilometre stretch of high ropes and the 120-metre zipline — all up, it'll take half a day to complete. Alongside the water park, it'll form part of an 'adventure precinct', which is bound to get busy during peak tourism periods. Across The Big Pineapple's 170-hectare site, other additions range from a major concert event space — which means more ongoing music gigs like the Big Pineapple Music Festival — to a food hub, which will feature cafes and other eateries down the line. It will also be the new home of Sunshine Coast yoghurt company Coyo, and a new craft brewery and major distillery. For those keen to not only make the trip 90 minutes north of Brisbane to Nambour, but to truly make both a day and night of it, you'll soon be able to stay onsite too. Glamping was first mooted back in 2017, when proposals to reinvigorate the huge attraction were originally floated, and it looks set to be featured alongside an RV park, an eco resort and a hotel. In total, there will be 793 different accommodation options according to the Queensland Government's funding announcement. While the high-ropes course and zipline are due to launch in March this year, exactly when the other fresh additions will open also hasn't been confirmed. 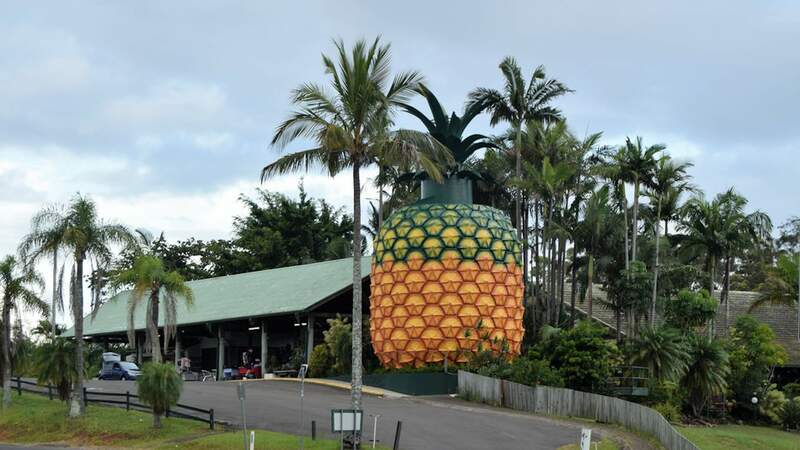 The Big Pineapple's existing attractions, such as the heritage-listed train, the Wildlife HQ zoo and the lure of snapping a selfie next to the enormous piece of fruit, will all remain. For more information about The Big Pineapple's redevelopment, visit the attraction's website. Top image: The Big Pineapple.